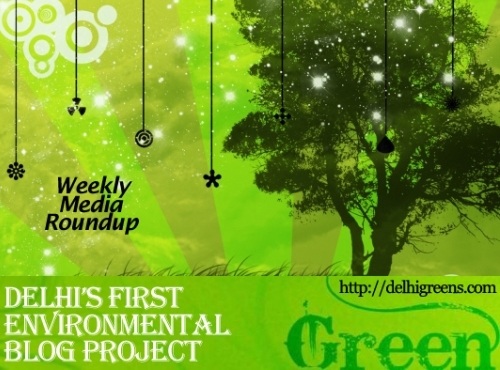 Weekly green news roundup from across different media networks for week 40 (between Sept 28 to Oct 4) 2015. Stepping up their campaign to save the Naini Lake in north Delhi’s Model Town, residents held a march on Thursday to press for the implementation of an action plan to revive the dying water body. With the festive season approaching, a group of East Delhi residents today moved the National Green Tribunal against the looming threat to the environment and ecology of their area by Ramleela performance in a park maintained by it. Sealed, unsealed, and back to square one. In May 2014, the World Health Organisation named New Delhi as the most polluted city in the world, closely followed by other Indian cities, namely Patna, Gwalior and Raipur. In all, 13 out of the 20 most polluted cities in the world, according to the report, are in India. The National Green Tribunal on Tuesday sought data on the number of vehicles entering Delhi from all entry points. Delhi Police counsel D. Rajeshwar Rao informed the Tribunal that there are 127 entry points to the city. A year after Prime Minister Narendra Modi launched his ‘Swachh Bharat Abhiyan’, the situation in the Capital is not very encouraging. The afternoon sun was blazing down, but that did not deter trucks packed with gulaal-smeared faces to make a beeline at Kalindi Kunj ghat so that Ganesha idols could be immersed in the Yamuna. The Supreme Court said it will hear on October 5 a plea seeking imposition of pollution compensatory charge on light and heavy commercial vehicles entering Delhi as the worsening air pollution in the national capital would further deteriorate in the coming winter. The South Delhi police have registered this year’s first case against an owner of a house, situated in Jor Bagh, for allegedly cutting a tree inside his house. Three toddlers came knocking on the Supreme Court’s door on Tuesday, demanding the highest court of the land act immediately against Delhi’s spiralling pollution graph, especially the oncoming season of firecrackers. The petition by three toddlers complaining about Delhi’s toxic air has resuscitated the issue, with amicus curiae and senior advocate in the Supreme Court’s Green Bench, Harish Salve, seeking imposition of a hefty pollution tax to rid the city of trespassing trucks. Delhi Transport Minister Gopal Rai seems very serious about tackling traffic congestion and air pollution in the Capital. It’s official: 92 acres in the Aravalis have been identified as a landfill site for garbage generated in Gurgaon and Faridabad. The government plans to convert about 1.5 lakh diesel buses run by state transport corporations into electric buses to cut on huge Rs 8 lakh crore crude import bill and check pollution, Union Minister Nitin Gadkari said today. The National Green Tribunal on Wednesday issued a notice to the Centre seeking its response to a plea demanding nationwide ban on slaughter of indigenous cattle in view of their diminishing numbers. India will cut intensity of carbon emissions by 33-35 percent by 2030 from 2005 levels and make its economy more energy efficient, the government announced today as part of its climate-change policy ahead of a crucial UN summit in Paris in December. In a development that can only be good news for the conservation movement, it was revealed that a wildlife census of the Haryana Aravalis will soon be carried out. Groundwater pollution in Aravalis caused by tonnes of untreated waste lying near defunct Bandhwari waste treatment plant is leading to diseases like skin lesions, bloody diarrhoea and dermatitis among people from neighbouring villages. As new islands are still taking birth in Sundarbans delta through a natural process of erosion and accretion, rise in sea level due to global warming is not a major threat to survival of the archipelago, claims a new research, contradicting previous studies. Established on October 2, 1976, Manipur Zoological Garden, the only wildlife sanctuary of the State which houses a number of rare and endangered animal species, celebrated its 39th foundation day at Iroisemba today.